A freak car accident shocked Greece last Sunday making people speak again about road safety. Why did it get viral and what can we learn from it? Another car was lying nearby broken into pieces under thick fumes. The parking looked like a war zone with burning debris spread around. It was a freak accident which no one wants to experience in life. He did nothing wrong; everything happened only because he was simply there at the wrong time. One moment he was traveling with his family safe and sound and the next – bang! – Everything was finished. A horrific video from a surveillance camera was uploaded on a local website about an hour later. It became viral immediately. 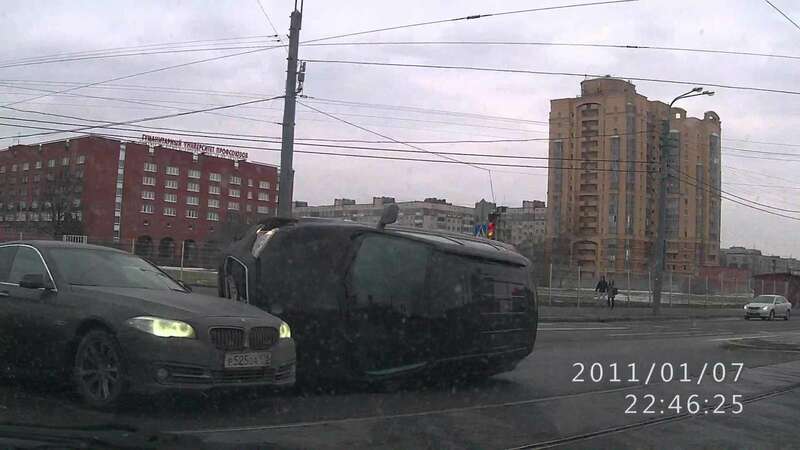 It showed a car spinning out of the motorway to the parking lot in shockingly high speed and crashing right on the poor Honda. The crash provoked a horrific explosion that looked like coming out of a vintage F1 accident. The uncontrollable car was a Porsche 911 GT2 that – as we got to know later – belonged to the wealthy owner of the popular Jumbo toy stores. At the wheel was the owner’s 24-year old son, George Vakakis, with a friend on his side. Both men were instantly killed and found burnt. The shocking video became a breaking news on TV that evening and a hot topic on the social media of the Mediterranean country. It created a national furor and a social debate that still goes on. Why did this happen? How did the Porsche driver lose control? What was his speed? Was he a killer that deserved to die? Or just an idiot rich guy who simulated the “Fast & Furious” movie driving scenes? The debate was not about road safety but expanded to social topics. Media and people concentrated in social and economic disparities and targeted restless, rich, supercar drivers who kill poor family people. Police still investigates the case. According to findings, the car was going fast, extremely fast, seemingly all the way from Athens. Its exact speed is not calculated yet but people talk about 250 to 300 kph. A source said the car’s tacho was stopped at 240 kph – which is indicative of the force of the impact! The road where the accident happened is relatively new, well maintained and features high grip tarmac. It might have been damp that time despite it was not raining. According to a witness who previously saw the Porsche overtaking him frighteningly, there were pieces of rubber coming out of the car. Later, a photo went public: the Porsche was fitted with winter and pretty outdated tyres that are valid for speeds up to 210 kph only! Probably the old tyre exploded and the driver lost control. If he was alive, we could have blamed him for more reasons, not just for restless speeding. 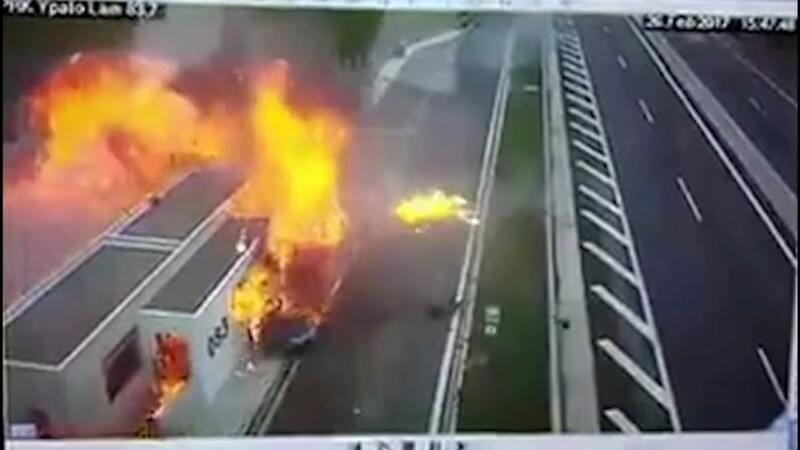 Why did this accident create such a raving reaction in Greece? Because it has been the most horrific car accident ever filmed in the country and one that was tragically assassinating and suicidal at the very same moment. But Greeks seem to forget that people die every single day on the roads, even if in less spectacular ways. According to statistics, at least 800 people die every year on Greek roads (as per statistics by Greek police) plus more than 1000 are left seriously injured, i.e six people die or are seriously injured daily in road accidents. Accidents declined in the last few years not because local drivers got better, but thanks to the chronical financial crisis: people have less money so they drive less and – more importantly – at lower speeds. Previously, there were more than 2000 annual deaths in the ‘90s. Besides, roads are better and Greeks drive safer cars today than 20 years ago – at least the lucky ones who managed to buy a decent car before the 2009 crisis. Statistically, though, Greece remains one of the most dangerous countries in Europe for driving. For sure road safety is far better than India but still is precarious in comparison to most European countries. Why? In a country where laws are generally a flexible concept, people bend them on a regular basis. A fine example is the smoking ban in public places and restaurants; it was imposed in 2009 but was never applied so far. Bending the law has dramatic effects on road safety. Most Greeks defy speed limits considering the advisory – not compulsory. Yellow light means “accelerate” and red light is treated like dark yellow! Stop signal means “slow down, look, go”. One way roads are violated as shortcuts. Drivers text and talk on the phone while driving. Night clubbers drink, drink, drink and then they drive back home. Motorcycle riders go around without a helmet. This is a classic behaviour without social or financial boundaries. Everybody, old and young, poor and wealthy, illiterate and well-educated people, take huge risks daily by defying traffic rules and common sense. So, the problem is not just “wealthy, fast and furious” drivers. Why does this happen in a cultured European country that invented social concepts like democracy, philosophy, and sports? The straight answer given by educated Greeks is “education”. But it is not so simple. The guy who drove his Porsche at 300 kph belonged to an educated elite and he studied in the US. Responsible drivers ask for better traffic education and they are right to do so because this lesson is barely included in the school programs. But do you need a special tuition to understand that you can’t drive at F1 speeds on normal roads or that the red light is… red light? Another reason is that Greece is more often ruled by anarchy rather than democracy. People have a vague relation to the law not by default but because rules are not imposed concretely. Many laws and rules are even wrong or badly designed and they change sooner than later after a new government gets in power. As far as the traffic rules concern, they are badly designed as well. Often speed limits are ridiculous. Stop signs are fitted where a triangle might be enough and one-way roads are imposed for stopping the traffic through busy city blocks – where some strong and connected people probably live. But more than anything else, Greeks defy the rules because they simply can get away with it. Traffic controls are irregular. On the major motorway from Athens to Thessaloniki, there is not a single fixed speed camera. Most days you can drive as fast as your car can! Traffic control is also idiosyncratic and driven by politics or by public opinion. For example, after the latest accident – police will systematically enforce the law as they should always do. Traffic officers will be ordered to go around and check the “bad guys” but only for a couple of months. Then, anarchy will be the rule again. Traffic police will be very vindictive with Porsche and other supercar drivers as long as the people will remember this accident. Probably the Greek minister of transportation will overturn his recent order that reduced the fines for most traffic violations. It was voted 45 days ago and was promoted by the government as an extra financial stimulus for people to pay their fines at low cost. It was a populist political move proving that in a country like Greece, traffic violations are considered a standard expense to be included in the monthly family budget. Weird, isn’t it?